Russia has an abundance of rivers and coastline for motor boating and sailing enthusiasts. With world famous rivers such as the Svir, Volga, Neva and Dnepr to explore. Experience cruising down to the cities of St Petersburg and Moscow where you can visit sites like the Kremlin, the Bolshoi Theater and the Moscow circus. For expert information and advice about buying or selling boats and yachts in Russia contact one of our experienced advisers who will be happy to assist you. 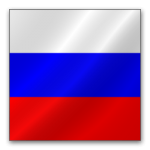 Below is the current list of boats for sale in Russia that are available to our network. Benetti Classic 115 in perfect technical and cosmetical condition. Keen seller. Venus 161RS now available to be redesigned or finished for the new owner. Sale of the yacht Princess 25M. The yacht is in excellent condition. It is located on the Black Sea. Yacht in excellent condition. Only 280 hours. Boat is in good condition, located in Russia Sochi. Never chartered. Priced to sell.